© 2016 GroundUp. This image is licensed under a Creative Commons Attribution-NoDerivatives 4.0 International License. On Friday Sean Davison (57) appeared in the Cape Town Magistrate’s Court on two counts of premeditated murder. If found guilty, he could face life imprisonment. Prosecutor Megan Blows revealed that the State is “in a position to add another charge of murder. The charges are provisional and may change”. In September Davison appeared in court in relation to helping Anrich Burger (43) end his life with lethal drugs on 2 November 2013. Burger was not terminally ill. He became a quadriplegic after a motor vehicle accident. The second charge is in connection to allegedly bringing about the death of Justin Varian on 25 July 2015 by “administering helium with the intent of helium deoxygenation and/or asphyxiation”. Mr Varian was diagnosed with motor neuron disease four years earlier and allegedly requested advice from Davison on how to end his life due to his disability. His deterioration was accelerated by a lack of access to modern medication. Five days before his death he said that he wasn’t in physical pain, and that loneliness and a sense of isolation contributed to his desire to die. Mr Davison, who was born in Auckland and raised in Hokitika, moved to South Africa in the early 1990s and later became professor of biotechnology at the University of the Western Cape. In 2011 Mr Davison was sentenced to five months’ house arrest in Dunedin after pleading guilty to counselling and procuring the suicide of his mother, Patricia Ferguson. Davison returned to South Africa in 2012. Mr Davison is the founder and chairman of the South African euthanasia advocacy organisation Dignity SA. In 2016 he became president of the World Federation of Right to Die Societies, the international organisation of which the New Zealand End of Life Choice Society (formerly the Voluntary Euthanasia Society), is a member. He is currently focusing his research on cognitive neuroscience. At the Federation’s conference in early September Davison presented a talk on “Neuroscientific Principles for Informing and Guiding the Right to Die movements around the world”. When discussing “Neuroscience of suicide as a thought” he argued that a person who is contemplating suicide has “a greater intellect”. “It’s worth noting that Sean Davison correctly distinguished ‘assisted death’ from ‘ending your own life'”, remarks Renée Joubert, Executive Officer of Euthanasia-Free NZ. “It is disturbing that Davison endorses suicide as an ‘intelligent’ response to suffering. This message undermines the efforts of individuals, organisations and governments to reduce suicide rates”, adds Joubert. Assisted suicide for any unbearable suffering? During the same conference presentation Davison asserted that people with psychological suffering should be eligible for ‘assisted dying’, even if they don’t also have a physical medical condition. “The fact that the president of the international euthanasia lobby advocates for the inclusion of people with mental suffering is highly significant in our consideration of the End of Life Choice Bill,” says Ms Joubert. “If eligibility were to be limited to terminal or physical illness, as some propose, then advocates would lobby for the inclusion of others who also feel they are suffering unbearably, including people with disabilities or mental illness. Such expansions would be entirely logical,” she says. Davison pleaded not guilty to Burger’s murder and was released on strict bail conditions. 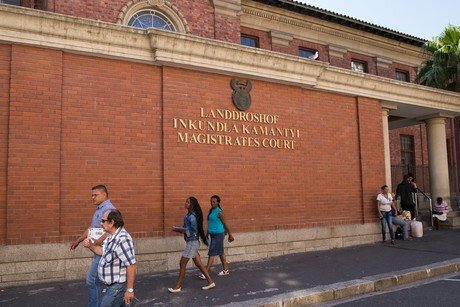 He is prohibited from leaving the Western Cape without police consent and even from being close to harbours or airports. Since it came to the police’s attention that Davison seemed to be planning to leave the country, they confiscated his South African and New Zealand passports. The question of whether Sean Davison is guilty of helping to bring about Justin Varian’s death “is critical to the proposals to legalise euthanasia”, writes South African anti-euthanasia organisation Euthanasia Exposed. The case was postponed to 29 January to allow further investigation. Davison told reporters that he received legal advice to refrain from answering media questions.